Seventy-five newly appointed bishops in mission territories are participating from September 3-15, 2018 in a formation seminar organized every two years by the Congregation for the Evangelization of Peoples. Cardinal Fernando Filoni, the Congregation’s Prefect, explained that it’s about reflecting further on the episcopal ministry, knowing the Roman Curia better and exchanging experiences. 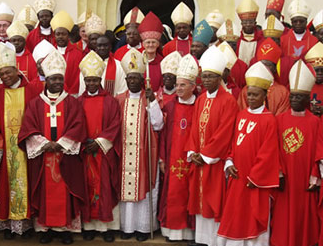 The bishops come from 34 nations of four continents, reported Vatican News: Africa, Asia, Latin America and Oceania. “They are bishops of young Churches, of mission territories, of Apostolic Vicariates and, therefore, as such they enter in the engagement of service of the Congregation in regard to these territories,” specified Cardinal Filoni. Moreover, “to know others’ experience certainly helps bishops of other dioceses , where there are, perhaps, similarities or diversities that one must have in mind,” said the prefect. The seminar benefits from the contribution of numerous personalities of the Vatican’s dicasteries. Among the interveners are the Secretary of the Congregation for the Evangelization of Peoples, Monsignor Protase Rugambwa, and the Assistant Secretary and President of the Pontifical Missionary Works, Monsignor Giovanni Pietro Dal Toso, as well as different Cardinals of the Roman Curia; Monsignor Paul Richard Gallagher, Secretary for Relations with States and Monsignor Juan Ignacio Arrieta, Secretary of the Pontifical Council for the Interpretation of Legislative Texts, as well as Monsignor Dario Edoardo Vigano, on the use of means of communication in evangelization; Father Hans Zollner, on the protection of minors and vulnerable adults, and Monsignor Guido Marini, on the liturgy and sanctification in the Church.